Plug and Play is the largest global innovation platform that aims to connect and support the best startups with the worlds most powerful corporations in verticals such as but not limited to fintech, insurtech, food, health. 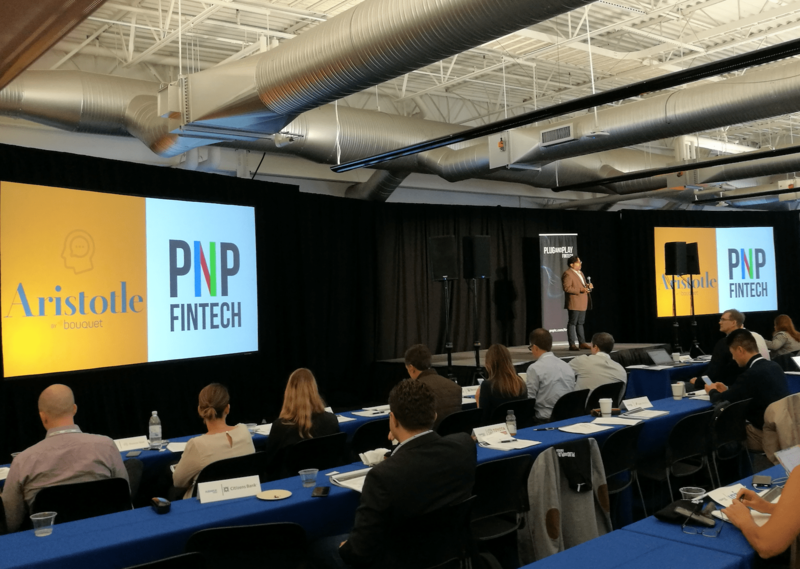 We were accepted into Plug and Play’s recent batch of 24 promising startups in the fintech accelerator program – one of the 51 + Accelerator Programs they offer. The 12-week program offers mentorship and networking opportunities from leading F500 corporations, investors and experts in their respective space and allows our team to settle own office at Plug and Play’s HQ in the heart of the Silicon Valley. To be considered, startups were hand-selected and invited to “Selection Day”, on July 24, 2018, at the Computer History Museum in Sunnyvale, CA. A total of 40+ startups had 4 minutes to pitch their innovation followed by a 2 minute Q&A portion. Each startup then had to go thru an intake interview before beginning and officially being accepted into the program. We’re thrilled to have been selected in this batch and for the opportunity to demo Aristotle at the final EXPO towards the end of the program. The EXPO’s audience contains all the corporate partners which include: US Bank, BNP Paribas, Deutsche Bank, Nedbank, Bremen Bank, RSM, Credit Suisse, Deloitte, Intuit Citizens Bank.